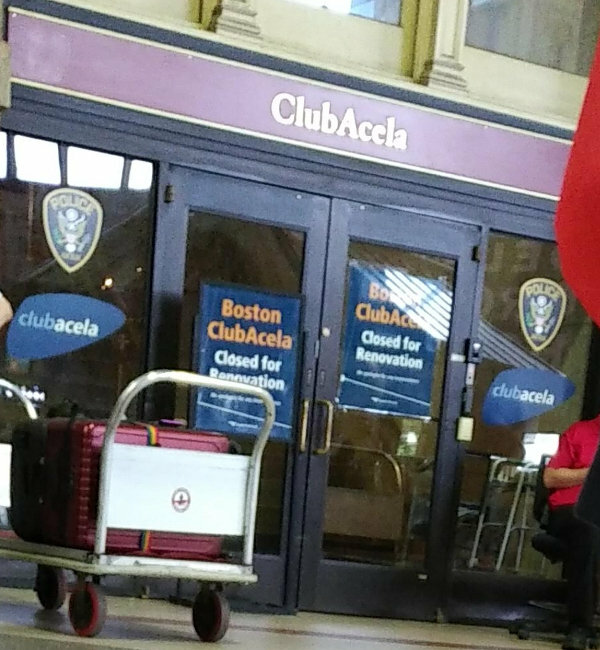 Boston Amtrak Club Acela renovations | Michael Hirsch, Ph.D.
Due to water damage in Boston South Station Amtrak Club Acela, the lounge was closed “until further notice”. Actually, it was closed from about July - October 2018 to repair water damage and overhaul. The new Boston Source Station Metropolitan Lounge is a definite improvement. The upper section has the massive walls removed, and has two flat screen TVs at opposite ends. The lower level is mostly unchanged, but with more thin client Windows computers. The refreshments area has more drinks selection, and is the same for snacks. 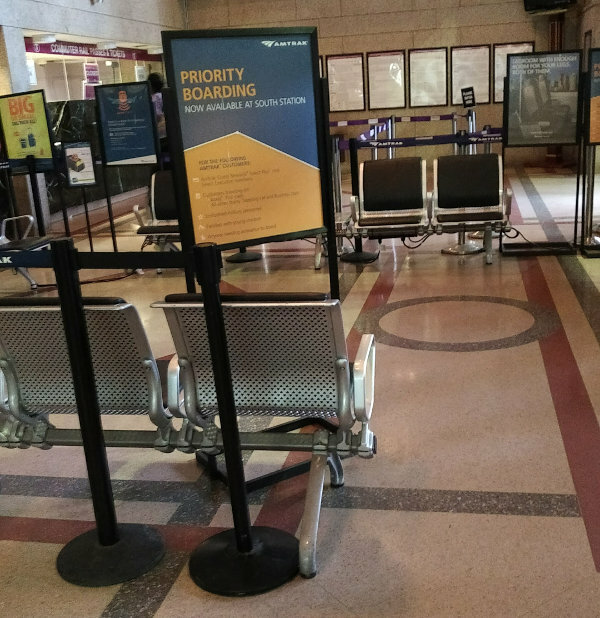 Public seating is rather limited at Boston South Station, and with the vast amounts of daily foot traffic, the humble temporary Club Acela seating in the ticketing area is an acceptable compromise.